How insurers are using technology to ensure a smooth claim experience. Industries across sectors are adopting artificial intelligence and machine learning in a big way. Insurers, too, have started automating their claim-handling processes. 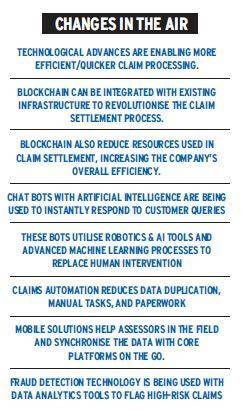 Here are some technological advances the industry has been adopting to give customers a hassle-free claim experience. Bajaj Allianz General has launched Travel Ezee, a travel policy that uses Blockchain technology. Earlier, in case of a flight delay, you had to file the claim and then submit the certificate of delay from the airline along with the claim form. But with new technology, it is not you who starts the claim process. Rather, it is the insurance company that keeps track of the claim event and initiates the payout. In this three-step process, you just have to scan your boarding pass and passport using the app, and the interface will capture the details automatically. The policy copy will be sent to your registered email id instantly. The facility is available only for policies that are bought online. Sourabh Chatterjee, Head of IT, Digital Marketing, Direct Marketing and Web Sales, Bajaj Allianz General Insurance Company, says, "Travel Ezee caters to overseas travel policy customers whom we proactively inform about payout eligibility in case the flight is delayed." He says digital interventions such as Blockchain and Artificial Intelligence are being used to simplify insurance transactions and improve the service. Blockchain has a decentralised design and permissions to read and write data are distributed equally among users. No user is given any special privileges when it comes to reading from and writing data onto the database. Experts say Blockchain-powered insurance could make the process so seamless that a claim could be triggered by data from a telematics device in the car and settled without the claimant filling the form or a handler intervening from the insurer's side. "Blockchain basically triggers data using smart contracts. Customers get their money through an entirely automated process, without the company spending resources on verification and processing," says Suman Pal, Lead, National Claims Service, SBI General Insurance. Several insurers are using chat bots and virtual assistant software to make the claim process smooth. For example, chat bots with artificial intelligence are being used to instantly respond to customer queries. These are replacing human intervention through advanced machine learning processes. They help in several ways, from registering a claim to checking the claim status and navigate according to your requirements and queries. 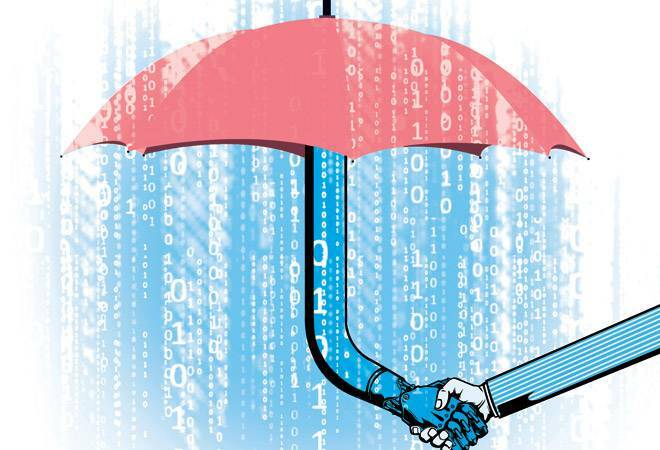 "More customer interactions are happening through intelligent response systems - chat bots and virtual assistants - leaving specialists to take care of only the exceptions," says Rakesh Jain, CEO, Reliance General Insurance. S. Prakash, Chief Operating Officer, Star Health and Allied Insurance, says, "We have integrated- in-house IT platform and have inbuilt checks and alerts and process automation to smoothen the claims process." Bajaj Allianz General has launched a technology to register and inspect motor insurance claims of up to Rs 20,000 through the company's self-service mobile app called Insurance Wallet. In the traditional method, you have to submit documents, which is followed by an inspection of the vehicle by a surveyor. In the new system, you have to upload the pictures of the damaged vehicle and the required documents on the application. The company, with the help of data analytics, recommends immediate liability and suggests a repair workshop. The claim can be settled in less than 30 minutes as against the current average time of seven days. This facility is, however, currently available only for private cars. Bajaj Allianz General claims that over 70 per cent of its motor claims are minor with loss amount less than Rs 20,000. Suman Pal, Lead, National Claims Service, SBI General Insurance, says automation is a big time saver. "It reduces data duplication, manual tasks and paperwork," he says. As the industry moves towards a faster claims settlement, it is facing a few challenges. Ashish Vohra, CEO, Reliance Nippon Life Insurance, says, "Lack of nationwide medical database and common identity, which results in document fraud, are some of the unique challenges the industry is facing." He adds that lack of industry-level repository of policies and claims, which makes it easier to buy multiple policies from many companies with an intention of filing fraudulent claims, is also a cause for concern.